Ed is our highly experienced Sales Manager, he has done it all and empowers his team to offer the best service and experience to all of Moorooka Nissans customers. He also happens to be a Nissan 370Z connoisseur and a qualified GT-R specialist. Gary is an Automotive specialist who started his career with MMG Auto working for group 26 Years ago working for 10 years in our service department, before moving into sales. He has done stints in our Hyundai and Suzuki sales departments before coming across to Nissan making his broad automotive and sales knowledge highly sought after. Gary has a keen interest in Formula 1 and V8 Motorsports aswell as the NRL and AFL but some where between all of this he manages to be a dedicated father to 6 kids and Grandfather to 8 grandkids and surprisingly likes nothing more than a bit of Peace and Quiet! David brings with him years of industry experience and a wealth of knowledge to boot, he is a great person to deal with when going through the buying process and can always be trusted to tell you how it is. Before starting on his automotive journey with 23 years ago in vehicle Pre Delivery and Service he spent life as a Landscaper but found his calling in Vehicle Sales and now has 20 years of customer and sales experience under his belt. 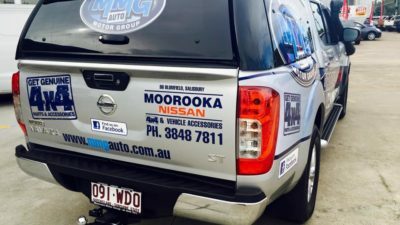 Dave says that he enjoys his work days with the MMG Auto team and his great team at the Moorooka Nissan Dealership but when away from work enjoys a life filled with family and friends; in particular his adored partner who he makes sure is lovingly supported with her health and happiness despite her disability challenges. Spare time if you can call it that for David is spent watching and participating in his love of Motorsports and getting outdoors with Surfing, Camping and 4WDriving being his all time relaxers! Reagan is our quietest, youngest and newest consultant having only been with us since 2017 but what he lacks in volume, age and time he makes up for in his depth of knowledge and ability to connect with his customers. Reagan has a background in customer service through Hospitality and Direct Sales which he did whilst studying Law and Business. He is the only Male in his family to buck the trend and not become a Mechanic but has still found his feet within the Automotive industry as one keen Sales Consultant. He loves working with his customers to find the right car for their lifestyle and enjoys working along side a great team while experiencing everything Nissan has to offer both as a product and as an iconic brand. Reagan enjoys Soccer and Cricket in his spare time and on the job is youthful and eager to learn so that he can become the best version of himself - when he is not learning he is travelling and when he is not travelling, he is working hard and saving to travel. He has been to 28 countries and is currently in the process of planning his next big adventure to Israel, Jordan and Egypt. Michael has been in the Finance Industry for 35 years and all of that has been specialised in the automotive industry 30 years of it here with us at MMG Auto- Now that is commitment to the team! Michael is an expert and getting things done and making the process easy and comfortable, he enjoys the fact he gets to meet and work with a cross-section of customers and getting to know them while helping them achieve the New Car goals. 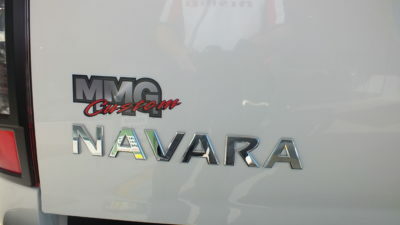 He is very much a integral part of our broader MMG Auto picture and prides himself on seeing his repeat customers coming back to buy with us again as well as welcoming our new eras of customers into the MMG Family. He likes to pitch himself as a 'expert' on all things sports, although he has retired from 'all things sports' due to age, he is still a proud grandfather of 2 young boys though again he claims he could be getting a little grumpy with age but has enjoyed life to the fullest! Jenenne has been a part of the MMG Finance team since 2016 and brings with her 15 years experience after starting her finance career with Suncorp in 2003. Making the move in Automotive Finance in 2012 and honing her skills and product knowledge since then to become and very knowledgeable and proficient Business Manager. She says she loves working for MMG because it is 'Family owned and operated' and that the family values are shared throughout the business on a daily basis. Being the proud mother of 3 daughters herself she understands that family mean everything to her customers and so she values their time and needs to always try to achieve the best possible outcome to help make the buying experience a smooth and considered one. Andrew is our Service Manager and with a total of 32 years industry experience he knows how things work. Andrew joined us originally as our Assistant Service Manager in 2012 with 24 years workshop and service adviser experience. After obtaining a Dip of Management, Andrew took over the reigns of Service Manager in 2018 and hit the ground running. He says that the MMG Family is a great one to be apart of due largely to to people that work here as well as the relationships he has built here over the years. 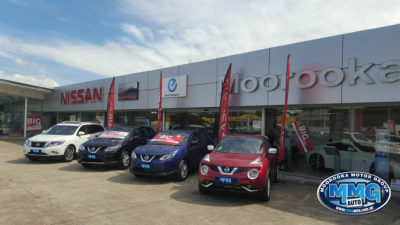 For more than 30 years the friendly staff at Moorooka Nissan have been selling and servicing new, demo and used vehicles in Moorooka and the surrounding region. 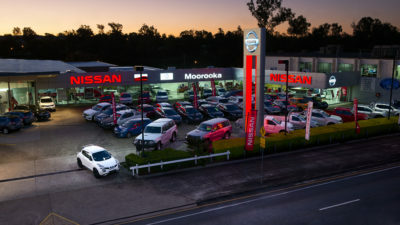 At Moorooka Nissan we know that our light commercial range leads the way in Australia, with the all-conquering Nissan Y62 Patrol Wagon and Nissan Navara Navara models. As the only high performance Nissan Sales & Service dealer in Brisbane, we also sell the award winning Nissan GT-R R35 ( aka Godzilla ). It is a driving experience like no other. 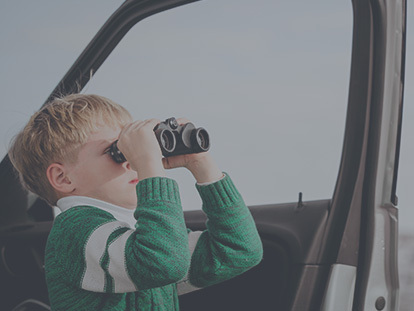 Our showroom allows customers to casually browse our comprehensive range of Nissan vehicles while our friendly staff are specialists in the brand and are proud of their association with Nissan, and look forward to assisting you when searching for your next new Nissan vehicle. We were awarded the prestigious NSSW – Nissan Global Customer Satisfaction Award based on our reflection of how we serve you, our customers with professionalism and integrity. The only Nissan GTR Dealer in Brisbane. A massive genuine spare parts distribution warehouse located at 96 Bloomfield Street, Sailsbury QLD 4107. A dedicated fleet team who are able to provide obligation free quotes for small to medium size businesses, Corporate entities and Government Departments who also has extensive knowledge with custom made mine spec equipment.